In January 2014, Opensource.com featured a selection of articles focused on how kids and teens are using open source. We called it our Youth in Open Source week. The reaction from our readers was amazing. They commented on stories, shared with friends and colleagues, and sent us new stories about how youth they know are involved in open source. 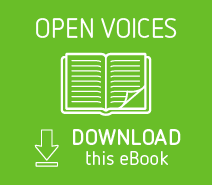 We decided to collect these stories, and other relevant articles previously published, as part of our Open Voices eBook series so that you can take them along with you on your favorite reader device. Copyright © 2014 Red Hat, Inc. All written content licensed under a Creative Commons Attribution-ShareAlike 3.0 Unported License.